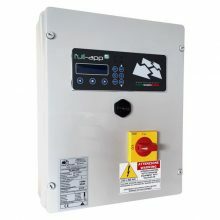 Pump controllers are required to automate and protect your pump by starting and stopping the pump on demand. 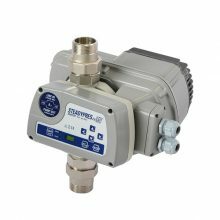 Our main range of controllers can be either Fixed Speed (electronic pressure-flow regulators) or Variable Speed (inverters). Fixed Speed Controllers. 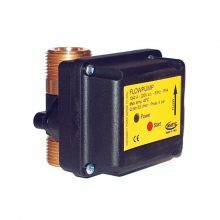 These can be fitted on the outlet of most surface pumps, or somewhere on the pipework before the first draw off. Fixed speed refers to how the controller operates the pump – you can’t choose a speed it’s fixed so the pump is either on or off. Most also have “dry run protection” built into the controller to protect the pump. Variable Speed Controllers are more intelligent and will automatically adjust the performance of the pump to suit the demand. This also makes them more energy efficient leading to reduced running costs. They also give that luxury feel as they maintain equal amounts of water to all outlets. 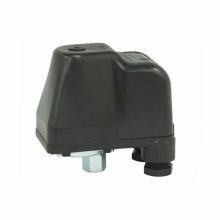 This section also includes flow switches, pressure switches, & all other electronic controllers with in-built pump protection against dry running.